For the flat rolled product (FRP) industry we are able to supply complete rolling mills for the production of aluminium sheet and foil. 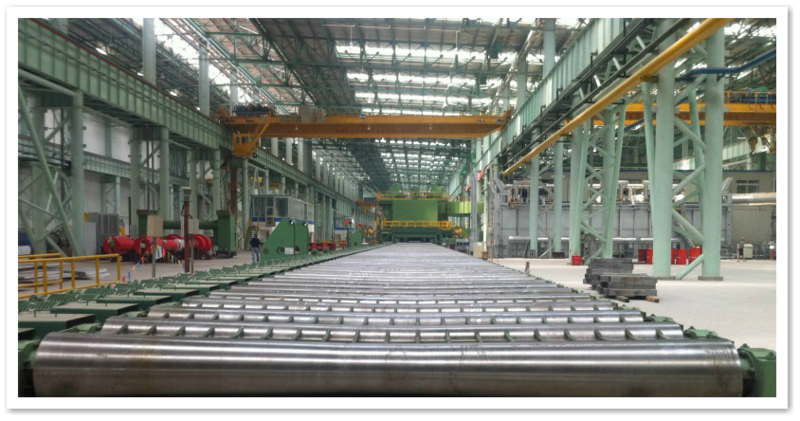 These production lines include the cast house to provide molten aluminium for feeding continuous casting machines that are producing master coil (CC-route). Also for the production of rolling slab we can supply DC casting machines for rolling slab, milling machines for the surface milling and pre-heat furnaces for pre-heating rolling slab (DC-route).